This is an extra Tuesday issue of this webcomic. The first quadrant of an x-y graph is shown with x and y axes unlabeled. An approximately exponential curve is shown beginning near the bottom-left corner and extending to nearly the top-right corner. Three illustrations are positioned along the curve. 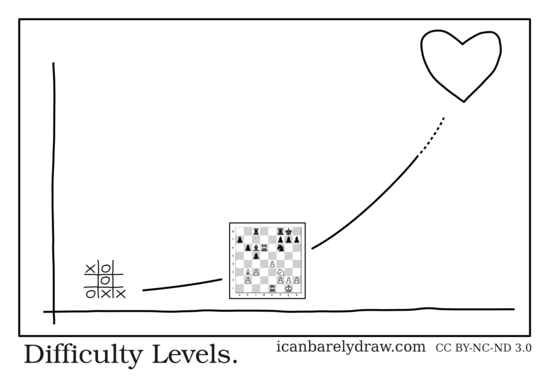 At the lower left corner of the chart, at the beginning of the curve, is the first illustration: a tic-tac-toe game in progress. 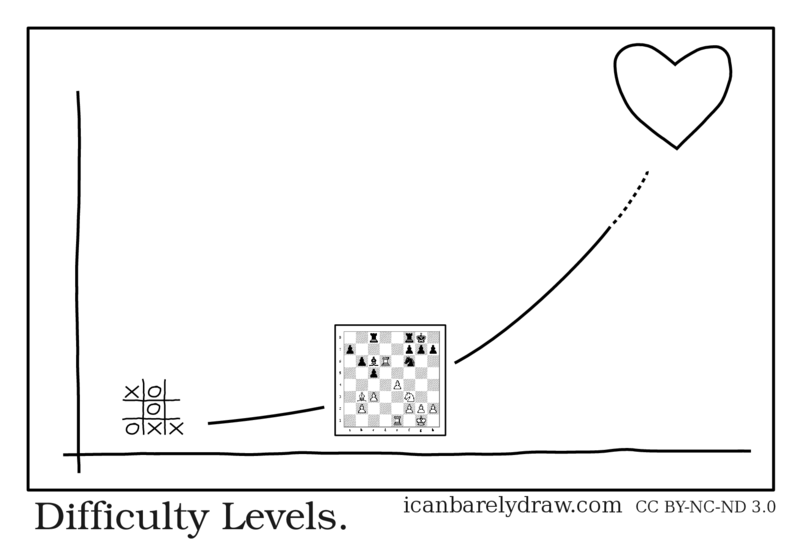 Approximately at the middle of the x axis, and slightly higher than the tic-tac-toe game, is the second illustration: a chessboard with a game in progress. At the end of the curve, and positioned near the top right corner of the quadrant, is the third illustration: an outline of a stylized heart symbol. The approximately-exponential-curve is solid throughout except that it is interrupted by the three illustrations so as not to overlap them, and it becomes a dashed line close to the heart symbol.